After combining their years of engineering research with an analysis the day’s events, was the NIST honest or deceitful in the completeness of their final determinations? Dr. Sundar, did admit that his organization had a very difficult time finding an engineering hypothesis to explain what occurred at 5:20 p.m. on 9/11 to WTC 7. Given the length of the investigation, the wealth of human resources committed to it, and the degree of difficulty understanding the mechanism behind the total structural failure of WTC 7, it is reasonable to expect that all data pertaining to the building’s structural status for its last remaining hour, would be subject to the most intensive, careful, and methodical engineering scrutiny. The published evidence shows that the NIST’s primary focus was directed at finding support for their column 79 buckling hypothesis, while dispelling contradictory evidence as lacking sufficient credibility to warrant further investigation. Case in point, involves the observed activity from northwest face windows on the 13th floor of WTC 7 just prior to its complete collapse. The NIST hypothesis is anchored in the northeast, where they believe column 79 at the 13th floor lost its lateral support, buckled, and revealed its failure through the visible collapse of the east penthouse. Without any additional data available, this appeared to be a fair assessment. The NIST, using the limited video and photo evidence they had cataloged, determined that there was no visual data to provide an explanation for this “unusual behaviour”. But was there really only limited video available? Going over the video evidence provided by the NIST through FOIA, there is good reason to question the veracity of the NIST claim. 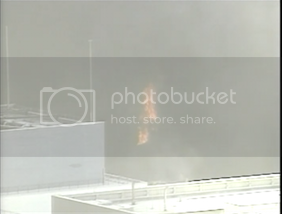 A logical place to investigate the NIST contention is to carefully examine the video in question, where “a jet of flames was pushed” from 13th floor windows on the west side of the north face, well away from the east side column 79 location. Screen captures from the NIST FOIA video. 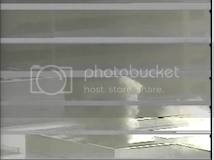 The left frame was captured a few video frames prior to the right frame. The NIST kept track of all their video data records a large database. Video records sent to the NIST were cataloged and identified in this database which was used by researchers to locate and analyze clips of interest. 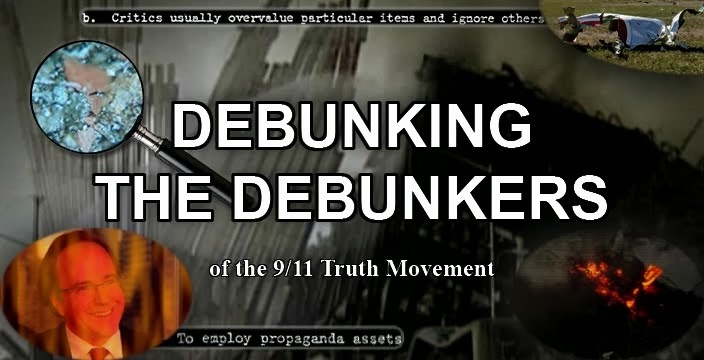 According to their database records, the video that contained the “jet of flames” that occurred close to the time of WTC7’s collapse, was identified as belonging to CBS-Net Dub5. The NIST cataloger, as shown from their notes, not only observed the “jet of flames”, but also noted a visible “puff of smoke” partially obscured by scan lines created when the original playback tape was deliberately fast-forwarded while it was being copied. Given the importance of any dramatic data appearing close to the collapse time of WTC 7, it is very odd that the NIST investigators paid so little heed to the “noted” smoke plume, or the fact that it was deliberately obscured by intentional fast forwarding. All they noted was the “jet of flames”, which were also initially obscured by fast forwarding. 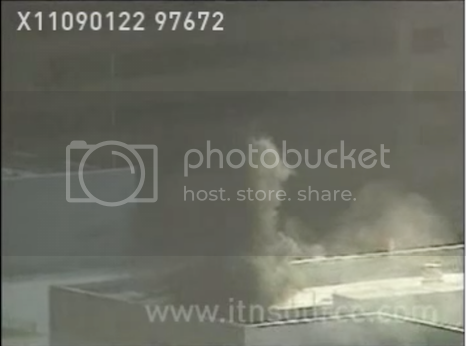 Later in the video recording, the sudden jet of flames could not be ignored when they appeared clearly after the person ‘directing’ the NIST copy decided to replay that portion at normal speed. The fast forwarding obscures an even more significant event. 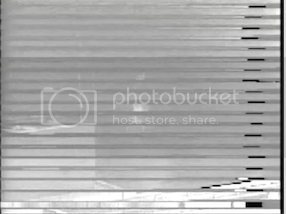 Behind the obscuring horizontal lines induced by fast forwarding, a series of explosive plumes can be seen coming from the direction of the window that seconds later would produce that “jet of flames”. Additionally, a white cloud forms near the NW corner and proceeds easterly. This should have aroused great interest on the part of researchers, but without the benefit of a clean unobscured video copy, they possibly decided further investigation was pointless. Had the NIST investigators shown more determination, they would have discovered that there was indeed a clean HQ copy of the very same video, without the intentional image obscuration. The NIST cataloged the video source as CBS, but it appears that CBS licensed its use from the rights holder, FOX. FOX through their subsidiary company, ITN, offer a clean preview copy in flash video format (.flv). A 5-year license for an HQ copy is available at a price determined by the purchaser’s intended usage. Had the NIST or FEMA officially communicated their interest in the video more earnestly they would have easily discovered the availability of this HQ version. Given the amount of wandering fire that was observed in WTC 7 on 9/11, it could easily be said that one more was hardly worthy of special attention. 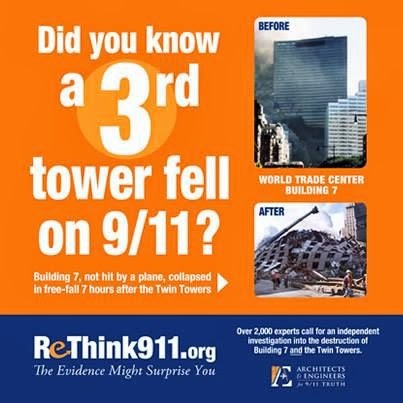 But considering the location and timing, in conjunction with the fact that the most plausible explanation for the implosive collapse of WTC 7 was a controlled demolition, this event takes on greater significance. A controlled demolition by implosion would require that the lower core of WTC 7 be blown out through the intensive use of conventional RDX-like explosives, possibly in the wake of a steel structure-weakening pre-collapse mechanism, like nano-thermite. 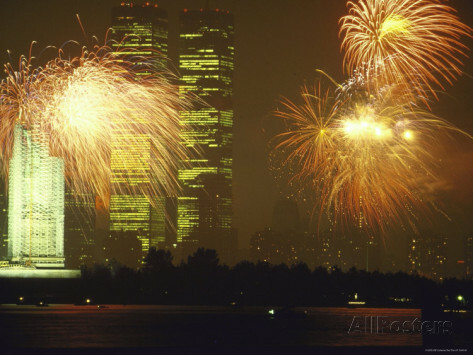 The explosive dark plumes appeared to erupt from the same 13th floor windows on the west side of the north face of WTC 7. And a lower, rapidly expanding, large white cloud moves east from the west end of the north face of WTC 7. According to the NIST, this is what followed shortly after these events. YOU CANNOT IDENTIFY THAT WHICH YOU MAKE NO ATTEMPT TO IDENTIFY. The original, X11090122 97672, reference recording, used for this research is only available in preview quality LQ (HQ (high quality) for purchasers), at http://www.itnsource.com. Live Stream From Berkeley. July 25th. 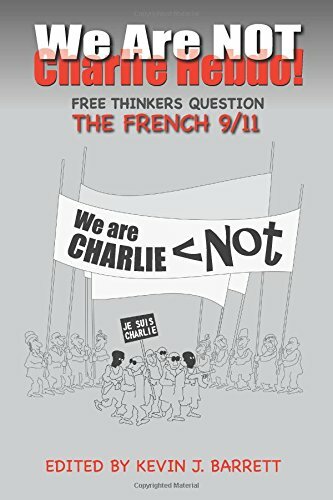 Was Charlie Hebdo, the French 9/11, a False Flag? This web site is a joint effort by David Chandler (retired physics teacher), Jonathan Cole (professional engineer), and Nathan Flach (video archivist). 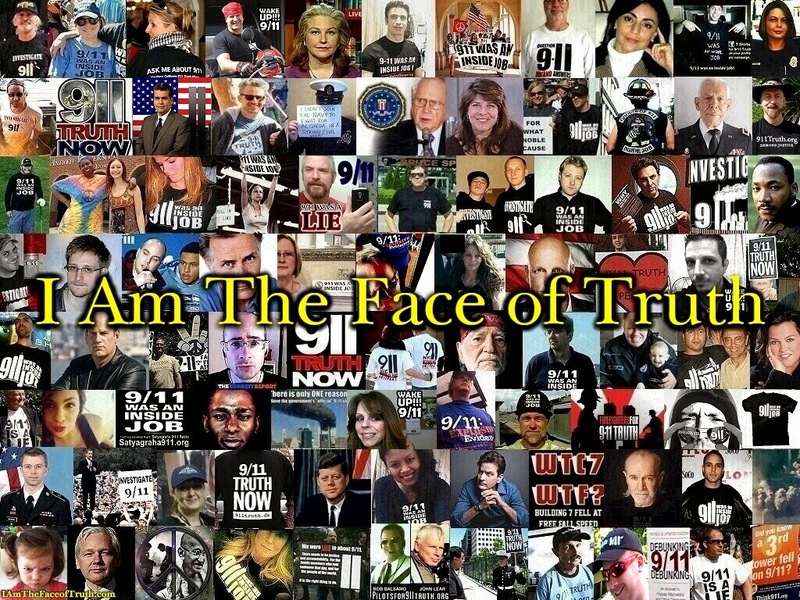 We are all independent 9/11 researchers, and affiliated with Architects and Engineers for 9/11 Truth. 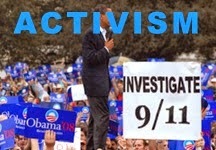 Our goal has been to uncover the truth and shed some light on the events of 9/11, each in our own way. Separate parts combined into one video for the first time. And this is your July 4 Song! A review of the history of military orders governing response to hijackings casts doubt on the idea that the June 1 order was instrumental in hobbling the military's response on September 11. The June 1 order superseded the 1997 directive CJCSI 3610.01. 3 The 1997 directive also stipulated that the NMCC "forward all requests or proposals for DOD military assistance for piracy (hijacking) to the Secretary of Defense for approval." MCM-102-92, 24 July 1992, "Hijacking of Civil Aircraft"
CJCS MOP 51, 13 April 1992, "Aircraft Piracy (Hijacking) of Military and Military Contract Aircraft"
MCM-- 173-90, 14 September 1990, "Destruction of Derelict Airborne Objects"
These earlier documents do not appear to be archived on dtic.mil. It would be interesting to learn what policy they mandated for military response to hijackings, and, in particular, whether it required approval by the Secretary of Defense.